Even though the Nokia 6 was only released the last year, it already made a name for itself. Even though it is not a high-end smartphone, it was first Android-running Nokia smartphone to be released. HMD Global has released numerous variants of Nokia 6 since then, with one of them being the Nokia 6.1. In case you didn’t know, the 5.5-inch price/performance handset runs Android One along with other changes implemented. As the .1 indicates, it is not a major upgrade over the Nokia 6. The operating system has been changed to Android One and the screen-to-body ratio has been increased. Fortunately, for customers, the Nokia 6.1 will still be affordable despite all the improvements. The technical specifications are similar to that of Nokia 6 (2018). It has a 5.5-inch Full HD IPS LCD screen with Corning Gorilla Glass 3 on top of it. The phone is powered by the Snapdragon 630 64-bit octa-core SoC. For graphics processing, it also has an Adreno 508 GPU. The phone has 3GB of RAM and 32GB on internal storage, which might not seem like much, but it is expandable up to 256GB. The battery is 3,000mAh and it takes just an hour to fully charge the phone. Nokia 6.1 also ships with Bluetooth 5.0 and NFC and will come with Android 8.0 Oreo (stock version) installed. The dimensions of the phone are 148.8 x 75.8 x 8.6mm and it weighs 172 grams. Aesthetically, the phone looks a lot like the Nokia 6. HMD Global has focused on more on functional changes instead. For instance, the fingerprint scanner has been relocated to the back, underneath the camera so there are no navigation buttons on the front now. 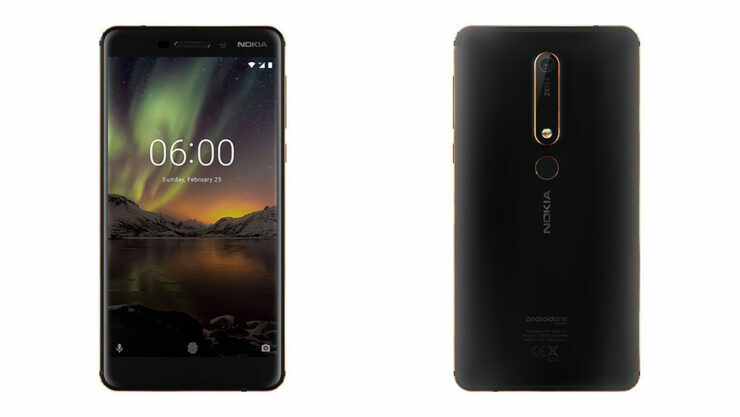 The Nokia 6.1 will retail at $269 and you can check out the links given below to learn more or pre-order the handset. For the price tag, do you think it is great for those on a tight budget? Tell us down in the comments.